Appearance: Strong blackberry hues and great depth; dark purples and reds. Aromas: Showing sweet and intense aromas of strong fresh berry fruit and soft vanilla from the wine’s French oak maturation. 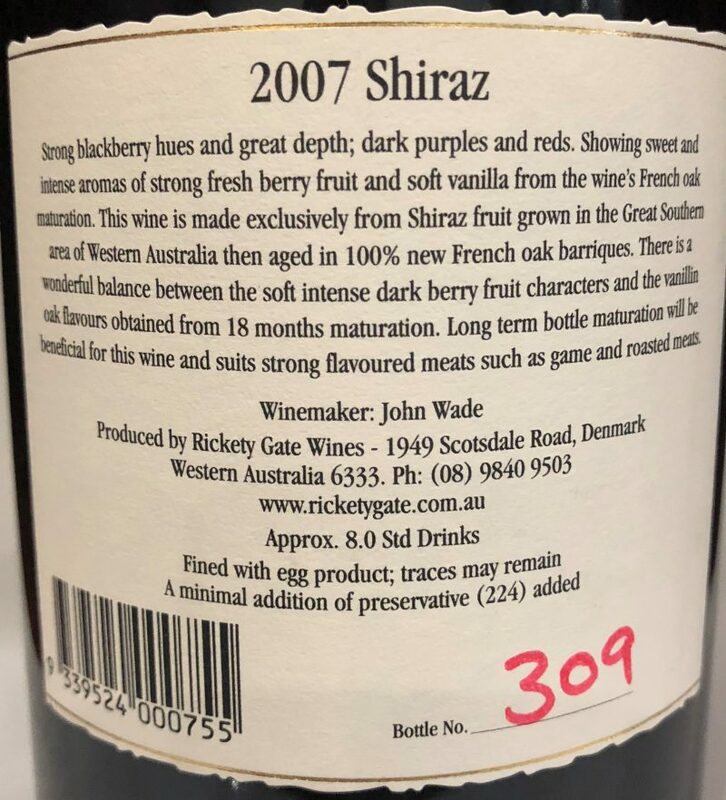 This wine is made exclusively from Shiraz fruit grown in the Great Southern area of Western Australia then aged in 100% new French oak barriques. Palate: There is a wonderful balance between the soft intense dark berry fruit characters and the vanillin oak flavours obtained from 18 months maturation. Food: Suited to strong flavoured meats such as game and roasted meats. Cellaring: Long term bottle maturation will be beneficial for this wine. Strong blackberry hues and great depth; dark purples and reds. Showing sweet and intense aromas of strong fresh berry fruit and soft vanilla from the wine’s French oak maturation. 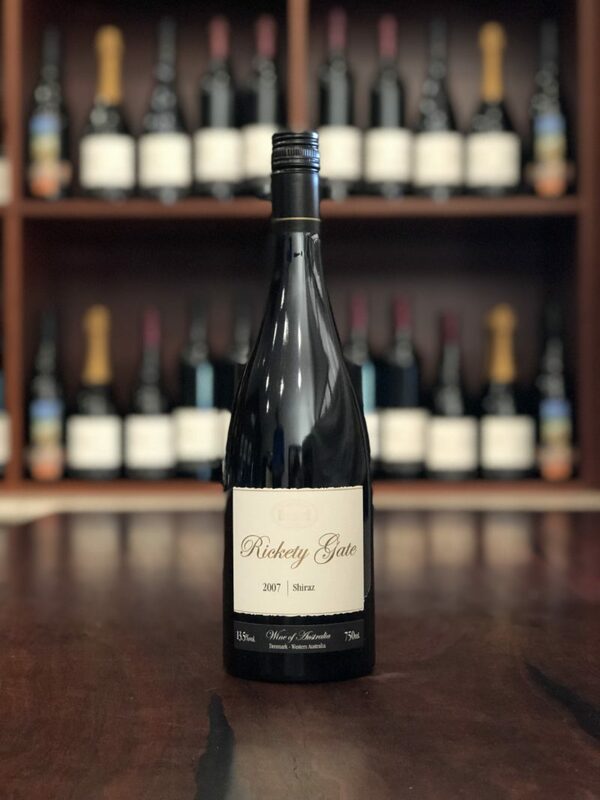 This wine is made exclusively from Shiraz fruit grown in the Great Southern area of Western Australia then aged in 100% new French oak barriques. There is a wonderful balance between the soft intense dark berry fruit characters and the vanillin oak flavours obtained from 18 months maturation. Long term bottle maturation will be beneficial for this wine and suits strong flavoured meats such as game and roasted meats.